Civilization 6 for Nintendo Switch Arrives in November | Nerd Much? One of gaming’s best strategy games has announced a new home. 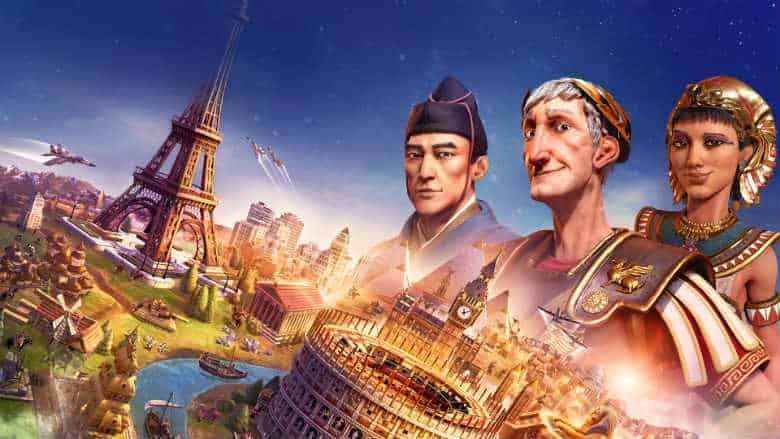 Firaxis and 2KGames’ Sid Meier’s Civilization 6 for Nintendo Switch is coming in November. Following its 2016 release, Civilization 6 earned two of the industry’s most prestigious awards. It took home The Game Awards’ Best Strategy Game as well as DICE Awards’ Best Strategy Game. If you’re unfamiliar, Firaxis Games describes Civilization 6 as “a turn-based strategy game in which you build an empire to stand the test of time. Explore a new land, research technology, conquer your enemies, and go head-to-head with history’s most renowned leaders as you attempt to build the greatest civilization the world has ever known.” It’s essentially a game in which you’re attempting to take over the world – by whatever means you see fit. In Civilization 6 for Nintendo Switch you can play the game as your own leader in which you build your empire in your own vision. Or you can play as one of the 24 built in historical leaders from various countries and times. Notable leaders of the past are Cleopatra of Egypt, Trajan of Rome and Hojo Tokimune of Japan. The game features cooperative and competitive multiplayer via wireless LAN. It sports 4 unique scenarios to play where you’ll attempt to colonize Australia in Outback Tycoon, defend Poland in Jadwiga’s Legacy, plunder Europe as a Viking in Vikings, Raiders, and Traders!, attempt to take over the known world within Conquests of Alexander. The game sounds as though it could be a fantastic addition to the system’s library. Civilization 6 for Nintendo Switch will attempt to dominate the console/handheld landscape when it launches on November 16th.